The American Nuclear Society (ANS) and the Nuclear Regulatory Commission (NRC) will co-host a live Q&A session with NRC Chairman Allison Macfarlane (right) next Thursday from 9-10 AM in Washington, DC. Some of the bloggers participating in the session will be present in the conference room and others will be logged in to it via the Internet. The panel will be moderated by Margaret Harding who is a member of the executive committee of ANS and serves as the treasurer of the scientific society. With the NRC having just recently issued its waste confidence rule, the subject of management of spent fuel is sure to come up. Other hot topics are likely to be licensing and reactor life extension of the current fleet and new licenses for small modular reactors. A recording of the session will be published online afterwards. 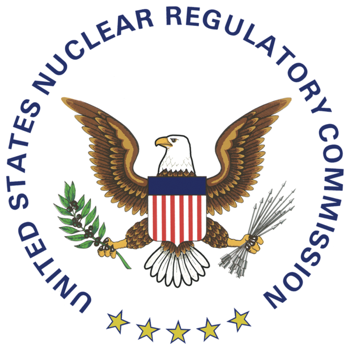 This is the third time an NRC Chairman has agreed to sit down with the pro-nuclear blogging community which for the most part is an independent minded lot not affiliated with nuclear utilities or trade groups. In October 2011 then NRC Chairman Gregory Jaczko took questions for 90 minutes. Dale Klein, who chaired the NRC from 2006 to 2011 made himself accessible for interviews with nuclear bloggers at ANS meetings and other venues. For a list of pro-nuclear blogs check the blog roll of the ANS Nuclear Café. This entry was posted in Nuclear Regulatory Commission, Social Media. Bookmark the permalink.